Climate experts at the National Oceanic and Atmospheric Administration are predicting another harsh winter here in Bel Air, Maryland. And the Farmer’s Almanac agrees, calling for a colder than normal and wetter than normal winter. Are you ready? More importantly, is your home ready? The average lifespan of a pressure treated wood deck is somewhere between 10 to 15 years. That is IF you have performed regular, preventive maintenance. If you haven’t, your deck may not last that long. 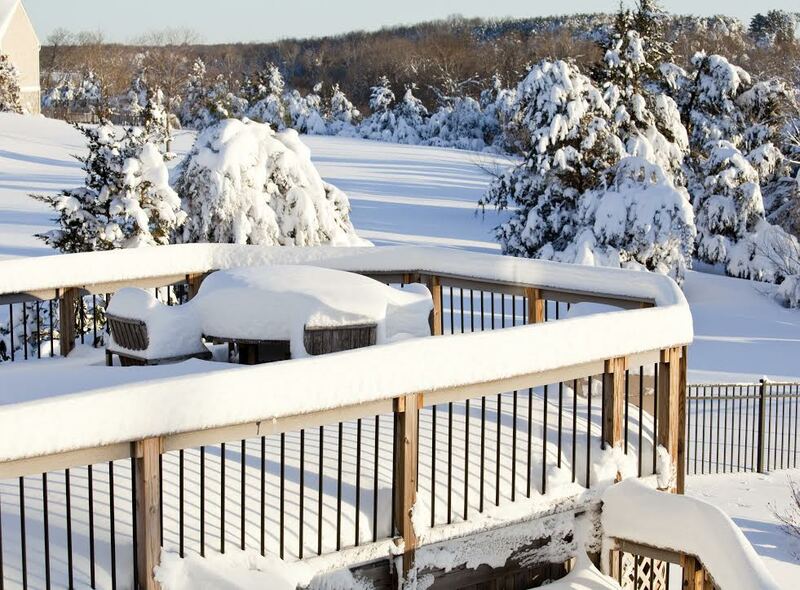 Either way, another snowy winter poses an immediate threat to you and your deck, especially if it is older. According to a study performed and published by Morse Technologies Inc., USA., there were 179 reports of deck and railing failures between January 2000 and December 2006. The study showed that there wasa correlation between these failures and the age of the decks. And almost every deck collapse occurred while the decks were occupied or under a heavy snow load. The International Association of Certified Home Inspectors estimates that of the 45 million existing decks, only 40% are completely safe. Deck collapses, meanwhile, are increasing at an average rate of 21% per year, according to the aforementioned study. Maybe it’s time you had your deck inspected and evaluated. If your current deck is old and showing signs of wear, call Freedom Fence and Home. We can evaluate your deck and make recommendations, which can range from a fresh coat of stain to repairs to total deck replacement. But don’t worry, deck replacement is affordable and can be completed within a day or two. Freedom Fence and home has successfully completed hundreds of deck replacements throughout Bel Air and the surrounding area. Our representative will review your choices of deck replacements – hardwood, PVC decking, or composite decking – and offer insight and advice based on years of experience and knowledge. If you have any questions about Deck Replacement in Bel Air, please contact Freedom Fence and Home by calling 443-271-6841 or visit our website. You can also follow us on Facebook and Twitter! This entry was posted on Wednesday, October 29th, 2014	at 3:54 pm	. Both comments and pings are currently closed.